Maricultured Fijian corals are a staple offering of Walt Smith International, a flagship of the sustainable aquarium trade now in jeopardy following a surprising ban announced through social media. The News: Fiji’s Ministry of Fisheries & Forests suddenly and unexpectedly bans coral and live rock exports with a Facebook post. Chaos ensues, with the future for the aquarium trade uncertain. That probably best sums up the state of many marine aquarium enthusiasts, biologists, and other observers in the wake of a Fijian coral and live rock trade ban announced via Facebook by Fiji’s Ministry of Fisheries and Forests during the off-hours between Christmas and New Year’s Eve, 2017. At stake? One of the most well-known and highly-regarded marine aquarium fisheries outside of Hawaii’s (which itself is apparently dead in the water for the moment), decades of work, ongoing privately funded coral restoration and replanting projects, hundreds of jobs, villages with vested interests in preserving their coral reefs, and a growing NGO coral reef restoration program (the A.D.E. Project), which had just received a major endorsement in the form of a 10K donation from another non-profit. According to Fisheries Minister Semi Koroilavesau, there are multiple marine aquarium exporters actively operating in Fiji, “one in Labasa, one in Lautoka, and one in Nadi and also in Pacific Harbour.” His stated rationale for the surprise announcement was to protect coral reefs in the wake of news of calamitous bleaching events, especially on Australia’s Great Barrier Reef. The proposed ban would be a blanket ban affecting all coral exports, including those of sustainably farmed or maricultured small colonies and fragments. Exporters quickly pointed out that the new surprise policy would kill a great many jobs for native Fijians and result in the loss of important income to the island nation. The ban, and subsequent public fallout, is largely playing out behind the scenes as a dialog between Walt Smith International (WSI), Fiji’s most prominent coral farmer and exporter, and the Fisheries Ministry, along with public discourse through social media updates and Fijian press interviews (see links at the end of the article). Stakeholders and industry watchdogs refrained from providing comment to CORAL at this time, leaving us only with the story that’s still unfolding publicly. As of this posting, the staff at Lautoka-based Walt Smith International had plans to host Fiji’s Fisheries Minister this Saturday to better demonstrate the operation and discuss the Ministry’s actions and plan forward. The dialog is ongoing, although the wording of the initial ban was unflinchingly clear: come January 7th, a “zero” quota export threshold will be reported to CITES for 2018. Unless that’s changed, it might spell trouble for Fiji’s flagship and multiple-award-winning aquarium exporter, WSI. 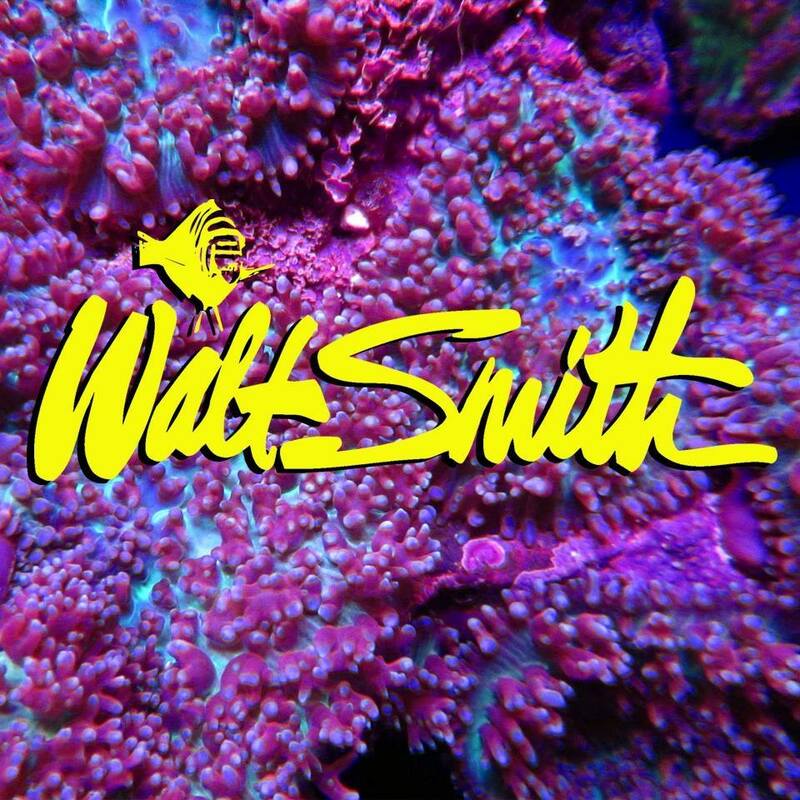 Walt Smith International, Fiji, celebrates over 20 years as a well-respected marine life supplier to the world. In order to understand the utter shock resulting from this trade ban, it’s important to understand the history of Walt Smith International’s status and presence in Fiji. 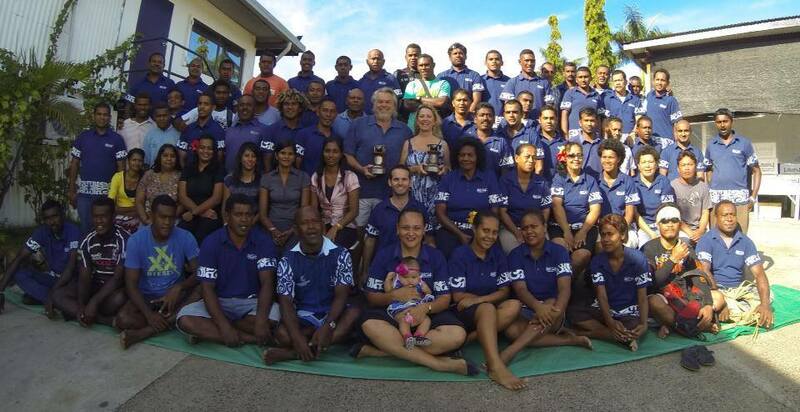 WSI is said to have enjoyed the strong support and respect of Fiji’s Fisheries managers for the better part of 20 years; the multi-million dollar business exists as a direct result of the Fisheries Ministry’s ongoing blessing and encouragement. This, combined with Fiji’s international reputation for quality and sustainability, often touted as a best-choice option for marine aquarists seeking the ideal of “short supply chain” aquarium livestock, may explain why so many aquarists and industry professionals have been taken aback by the recent, seemingly “out-of-nowhere” ban. Walt Smith International, Fiji, was founded in 1996 at the direct invitation of Fiji’s Ministry of Fisheries two years earlier in ’94. WSI has subsequently been repeatedly recognized as a leading company in Fiji. Awards include a 2007 International Ecotourism Award for the coral walk installed at Fiji’s Hideaway Resort, along with more prominent recognition, including the Fiji Export Council Unique Exporter Award in 2011, and Hangton Pacific Company Ltd Fisheries Exporter of the Year Award in 2013 (see image below). WSI was also granted a license to market fish, coral, and live rock under the Fijian Made-Buy Fijian campaign in 2014, and clearly had the support of the Fisheries Ministry, which requested the expansion of coral farming to northern regions of Fiji as early as 2011. WSI subsequently characterized this expansion to the Northern division as successful in a 2014 news report, with expansion to the western divisions also planned in 2014, and reportedly operating multiple coral farms and employing upwards of 140 people, as reported in 2017. In addition, reef restoration efforts under the A.D.E project have been replanting and restoring Fijian coral reefs since 2014. READ AN EXPERT ARGUMENT against the new ban, written by marine conservation biologist Dr. Bruce Carlson with must-see reef video. To understand this story, it’s best to follow it chronologically. Fiji’s Coral and Export Ban, announced via Facebook on December 28th, 2017. The Ministry of Fisheries has banned all harvesting, purchasing, sales and export of live coral and aquarium rock (also known as live rock, coral rock or fossil coral) from the 28th of December, 2017. 1. All harvesting, purchasing and sales of live rocks and live coral are now banned, and no export permits would be processed by the ministry. 2. The Convention in International Trade in Endangered Species (CITES) Scientific Committee (SC) will be submitting to the Management Authority (MA) on 7th January 2018 that Live Coral and Live Rock is given a zero quota for 2018. 3. The Ministry of Fisheries and both the CITES MA and SC would be supporting the development of other sustainable options, particularly the development of farmed or cultured coral. Subsequent news coverage of this announcement by the Fiji Times attributes the public posting to the department’s permanent secretary, Sanaila Naqali, and no additional comment could be obtained from the Fisheries Minister, Semi Koroilavesau. As outsiders to the daily workings of Fijian Government, some most assuredly must have taken the posting of such a broad sweeping ban via social media to be a prank. But it quickly became clear that this was no joke. Walt Smith International, Fiji would like to acknowledge the recent statement in the news related to the complete ban of collection and export of Coral and Live Rock. The Recent ban has come as a total shock to our company and the industry in Fiji. We only found out by a facebook post Friday morning and have not been legally notified of any bans currently in place. Required protocol in matters like this are to consult with local industry before any actions are taken. We have been in contact with the local government and are working through the issues and future of the exports in Fiji but cannot comment further until work resumes on Tuesday January 2nd. While this is potential roadblock for our company, we are confident that our business will continue. We appreciate the concern and consideration for the reefs and sustainability in Fiji, and as WSI maintains a sustainable approach toward all our operations with our coral farms, reef replanting operations with the ADEProject.org, we have high hopes for a great sustainable future within Fiji. Fortunately for WSI we have extended ourselves to be able to export our Man Made rock and Cultured corals, along with our wonderful Fiji Fish. Walt Smith International announces the layoff of 75% of their main facility staff as a direct result of the ban. In a heartbreaking move for many employees, the New Year brought the type of news that most readers would dread: they’re out of a job. Walt Smith International (Fiji) Ltd founded in 1995 in Navutu has been forced to lay off over 3/4 of our staff due to the sudden ban of coral & rock exports in Fiji. While we have scientific evidence that for the past 20 years our sustainability and support for the reefs has proven successful, there is some miscommunications going around concerning the harvest and export of coral and rock. We have made contact with the Minister of Fisheries, and are taking immediate action to restore our business and jobs to the hundreds of locals and businesses that this industry supports bringing in over $10million dollars of badly needed export revenue. We personally regret having to take this action but see no current options as we have been unable to obtain a CITES permit since the end of December. We have teamed up with the local CITES Management Authority as well as the Scientific Council and the Fiji Commerce & Employers Federation as well as other businesses affected by the ban. Walt is presenting crucial scientific data and relevant information to those making the decisions about Fiji’s export permits. Being the Pioneer of Coral farming, and having over 50,000 coral frags planted in the ocean yearly we understand the need for concern and fully support sustainable harvest. Several years ago Walt also started a non-profit ADEProject.org that is solely dedicated to sustaining and restoring the reefs in Fiji while bringing an income to the villages that participate, however without the current ability to continue our business we will not be able to fully support this initiative. We hope all the affected employees, villages and suppliers understand our current situation and we are urgently working to get back to work with what we sustainably know how to do. Results of an initial meeting, as shared by Walt Smith International. Our meeting with the PS and staff along with our support group went really well. They understand the position we are in and how our business operates as well as our sustainability efforts. The minister would like to visit our facility to get a close up understanding of our full operations and be able to fully grasp how we work. We are hoping to have this meeting Saturday this week. The good news is we have a temporary stay to continue exporting coral and rock that we left from 2017. What this means is any permits we applied for and were issued in 2017 we will be able to collect and ship out. I will know more of what is going on in the morning And we are hopeful to have a resolution for the remainder of the year. Frags of Candy Cane Coral, Caulastrea sp., mounted and ready for ocean-based grow out. While the Ministry of Fisheries claims that quotas were actively being reduced and that exporters were aware of this forthcoming closure for some time, WSI strongly objects to all these statements, noting that quotas have remained unchanged for years, and that no one at WSI was notified of the impending closure. Public information reveals that after decades of support for the marine aquarium trade, Ministry sentiment may have shifted only weeks prior to the ban, as outlined in statements from the Ministry that were published November 29th, 2017, on the Fiji Times, and expanded subsequently on December 1st, 2017, on the Fiji Sun Online. These statements were the results of Fiji’s participation in the climate change conference COP23, held in Bonn, Germany, earlier in November. Cutting through all the confusion and mixed messages in the mainstream media, the most recent reports from the Fiji Times on January 3rd and 4th, 2018, paint a pretty clear picture. Taking the latest statements at face value, it appears that the path going forward in Fiji is likely to be strictly some form of aquacultured and/or captive-bred corals and man-made, ocean-cultivated live rock. However, there is no publicly-disclosed plan or timetable to enact this change, only the current ban. According to the current WSI website, cultured corals and live rock represent about 20% of their total export volume; the remaining 80% consist of wild-harvested live rock (now banned), wild-harvested corals (now banned), and wild-caught fishes. 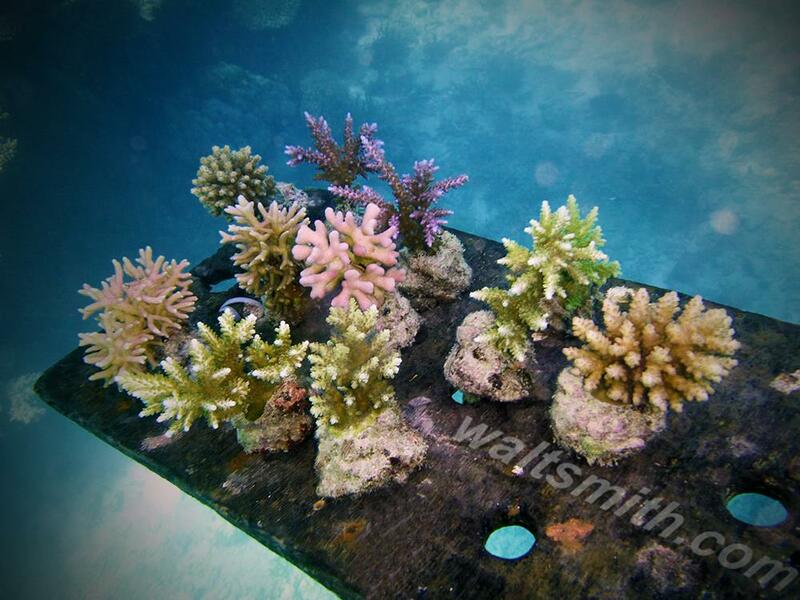 Maricultured corals like these Acropora may be the sole future for Fiji’s coral exporters. While the most recent statements suggest that mariculture is permissible in the eyes of the Fisheries Ministry, the realities are a bit more complicated. In an interview with the Australian Broadcasting Corporation (ABC), Koroilevesau relayed that “The ban is the harvesting of live coral from our reef system…If the exporters are actually breeding their own coral then it will not affect them.” And yet, there is also the publicly stated “zero” export quota planed for 2018, which directly conflicts with the minister’s statement. 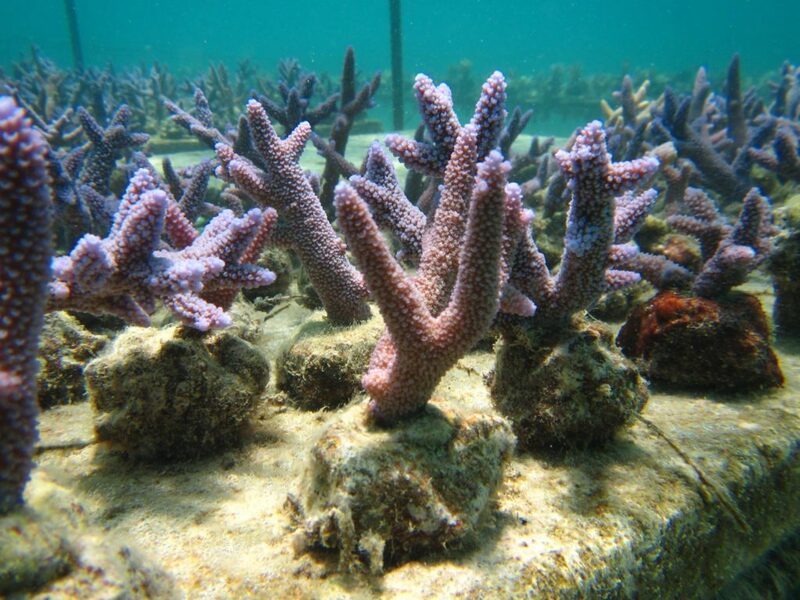 In the same ABC story, Walt Smith International’s Livestock and Aquaculture Manager, Dave Barrick, noted that currently, WSI’s maricultured corals start as frags taken from wild broodstock; WSI’s mariculture (as it is currently performed) is tied to sustainable wild harvest, effectively fragging wild corals for off-reef grow out. It seems this specific practice would no longer be permitted, which perhaps demonstrates a fundamental lack of understanding on the Ministry’s part. Mariculture operations including WSI are required to outplant more farmed corals than they export, the net result being sustainable culture, reef replenishment, and restoration, not diminishment or over-harvest. Furthermore, the actual “breeding” (sexual propagation) of corals, as Koroilevesau discusses with the ABC, is likely not something that any of the coral exporters in Fiji are prepared to accomplish. 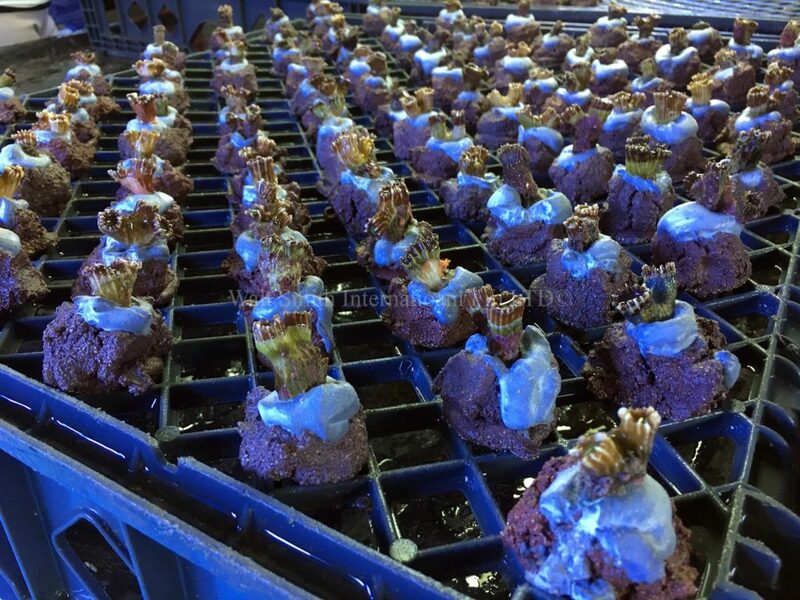 “The cost and investment behind [breeding coral] is not really manageable by anybody, but universities trying to do research on it,” Barrick told the ABC. There may be some confusion with the jargon being used by Minister Koroilevesau, as coral breeding and coral farming are not the same thing, but it appears they’re being used rather interchangeably in press accounts of interviews with the minister. It remains to be seen how Koroilevesau and Fiji’s coral exporters will work together in the coming weeks. Barrick’s stated goal is “sort of a grace period to phase out over so many months [or] years, instead of an immediate ban on our company.” It appears that the parties involved are intent on a path forward that puts hundreds of Fijians back to work and doesn’t kill off one of the most highly-regarded aquarium fisheries on the planet, but time may be of the essence if a wounded aquarium export industry is to recover. Image Credits: All images courtesy Walt Smith International unless otherwise noted. Disclosure: Walt Smith International is an advertiser with CORAL Magazine. This relationship has not been leveraged in any manner to bias the content or tone of our editorial reporting. Better to grow than exploit it. Still only doing 20% should be 50 to 60% by now, growing to 100% in a few years. Hello.. can you send coral to swizerland?